If you ever go to the drug store and pick up a pain killer, read the label. When you read the label, what do you see? You’ll probably find a bunch of warnings about how this can be damaging to your body when taken in excess, and how it can cause liver damage, especially when taken with alcohol. Because of this, you need to follow those warnings religiously and never take at the same time Alcohol and Advil! 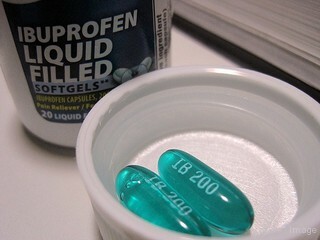 Ibuprofen also known under brand names: Midol, Advil, Motrin, Caldolor, NeoProfen, Ibu. You might be saying, come on, is it really that big a deal? Simple answer—yes, it is. Drugs like ibuprofen by themselves are known to cause problems with the liver, especially when taken on an empty stomach. If you add to that the fact that you are consuming alcohol, a substance which also causes liver damage, you are doubling your odds and giving yourself more opportunity to be hurt as a result. When you mix ibuprofen and alcohol, you can receive stomach tears and extreme pain. This is not superficial pain, it is the type of pain that happens when your internal organs are being damaged. For this reason, no matter how bad you may feel, you should never use ibuprofen as a remedy if you know you will be drinking alcohol, or if you already have alcohol in your system. Ibuprofen is typically used as a pain killer or an anti inflammatory and does an excellent job providing that kind of work. When you take alcohol with such painkiller, usually two drinks or more, your stomach can even begin bleeding, which is no fun for anybody. If you are the type of person who receives stomach ulcers, your odds of developing problems when mixing the two drugs will increase tenfold. A lot of people run to painkillers and mix them with alcohol without even thinking. For instance, have you ever had a hangover, which you chose to fix by popping a pill? If so, you might have been guilty of mixing ibuprofen or alcohol and Advil at one point in your life. Just because you took the pain pill the next morning, doesn’t mean that alcohol is fully out of your system. And because of this, you are running the serious risk of damaging your liver and causing problems with your stomach. You should never run this risk, and should insist on avoiding it whenever possible. Simply put, ibuprofen & alcohol don’t mix, so never hurt yourself by trying to make them mix! The warning labels are on the pill bottle for a reason, so be sure that you are making an effort to follow it. Otherwise, you are making the mistake of putting your health in jeopardy, which never has to happen since the issue is so avoidable. For more information on this, do some research of your own, or ask your family doctor for their expertise on the matter. This information is valuable because plenty of people consume alcoholic beverages, which is fine by itself, but not in excess or when mixed with painkillers. Ibuprofen can cause stomach bleeding and ulceration if it is not taken with food or liquid to buffer it from the stomach lining. Ibuprofen also interacts with the KIDNEYS (not the liver) in a negative way by reducing blood flow to the kidney which can lead to acute kidney damage by dying tissue caused by lack of blood flow (nutrient and oxygen deprivation). You do not feel this when it happens, there are no easy overt symptoms, and when you stop taking ibuprofen or other NSAIDs then the kidney will repair itself and you will recover in most every situation. We will rewrite this article soon. Soo, I drank a daiquiri and an hour later I took 3 ibuprofen for my arm pain that I believe is cervical radiculopathy. So I took ibuprofen to help my arm but then a couple minutes later my stomach starting getting this excruciating pain and it still has this pain and it’s been over 24 hours. I kept waking up in the middle of the night to this pain and had to toss and turn to ease it, do you think this is something serious? Sarah the same thing just happened to me, were you fine after? Should I go to the hospital? Umm… you should have really done your research before writing this. I believe it is Acetomenophene you are referring to as pertaining to liver damage, as it this that is processed through the liver, not ibuprofen. If anything you should have warned about possible stomach irritatoon and bleeding in connection to alcohol use and ibuprofen. The general view by most professionals is that ibuprofen is safer than any other drug coonciding with recent alcphol use. Though, it should be noted that any drug use with alcohol has potential risk. I find this article to be poorly researched and alarmist, which is a bit irresponsible to your readers, who will want to trust what your site has to say. Acetaminophen (aka paracetemol) + alcohol can cause acute liver damage. Ibuprophen, however, does not.